When word of Kojiro's angry outburst at the supermarket gets around to the chairman of the school board, Kojiro's future at Muroe High is in jeopardy! But there's really nothing the kendo club can do to help...or is there? Surely the principal wouldn't dismiss the coach of the kendo team that won the National Tournament?! 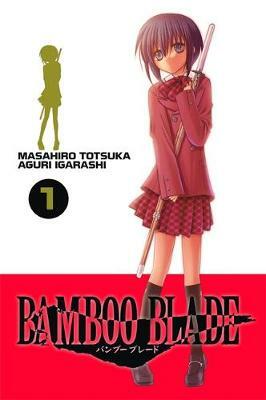 Buy Bamboo Blade, Vol. 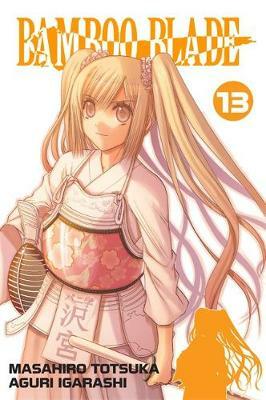 4 by Masahiro Totsuka from Australia's Online Independent Bookstore, Boomerang Books. 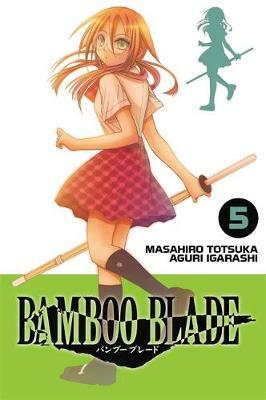 Aguri Igarashi is the artist behind BAMBOO BLADE, and has more recently begun work on Saki-Achigahen episode of side-A and Shinohayu, another popular series about a girls' mahjong team. 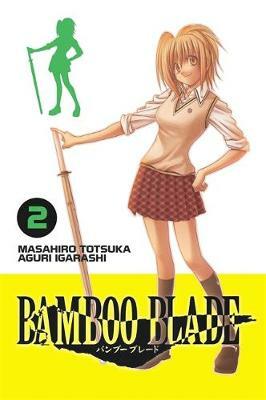 A comic writer and illustrator, Masahiro Totsuka is the author behind the series BAMBOO BLADE, BAMBOO BLADE B and BAMBOO BLADE C, and the writer and illustrator of the Material Puzzle comics.